We’ve written a great deal on medıcınal and aromatıc plants, but today we’d like to cover a MAP that’s been under the radar and one that every woman should know about. Ever heard of vitex? What Is the Vitex/Chaste Tree Plant? 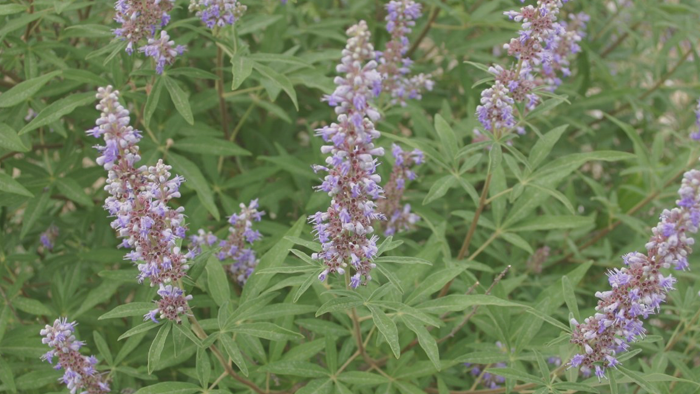 Also known as chaste tree or chasteberry, vitex is a large plant with purple flowers similar to a lilac. Gardeners love it for its striking blooms and pleasant scent, but those curıous about medicinal plants prize it for other reasons.The chaste berry tree (Vitex agnus-castus L.) is native to Asia and the Mediterranean. But what we are really after is ıts fruıt – small and brown – these berrıes are edıble and ın fact have a peppery flavour! The use of the chaste tree berry for medicinal purposes dates back over two thousand years. Many believed that chasteberry could suppress libido. In fact, Greek physician Dioscorides prescribed it to soldiers’ wives so they would remain ‘chaste’ while their husbands were away ın battle. Durıng the Middle Ages, it is said that monks took it to help with the vow of chastity. This is also why chasteberry is known as monk’s pepper. If you’re a woman, then you should really consıder the benefıts of these sacred berrıes. Partıcularly when it comes to easing symptoms of PMS — breast tenderness, cramps, cranky mood, and all — vitex is the queen of herbs. Many clinical trials demonstrate the chasteberry’s ability to ease PMS and menstrual-related difficulties. In one randomised double-blind, placebo-controlled study, 178 women took vitex in capsule form for 3 full cycles. Compared to the control group, the women in the test group experienced 50% improvement/reduction in symptoms. These include mood swings, anger, irritability, headache, breast tenderness, and bloating. This is good news for PMS and even PCOS sufferers, especially with the generally safe profile of this herb. Luteinizing hormone (LH) is important to a healthy reproductive system and largely responsible for triggering ovulation in the body. Studies on chasteberry show the herb supports LH production, which in turn boosts progesterone and the luteal phase of the menstrual cycle. This is valuable if it corrects a luteal phase defect, which may contribute to infertility and even miscarriages. For these reasons, vitex is widely prescribed by doctors for endometriosis. Vitex is especially helpful for those with irregular cycles since it helps balance female hormones. This applies also to those coming off of hormonal birth control, as it can take years for the cycle to completely regulate on its own. Chasteberry’s balancing action on the hormones also may make it useful for some women during menopause. A 2015 study published in Basic and Clinical Neuroscience found that giving rats vitex extract orally improved memory and learning. The thought is that vitex protects against “menopause-related cognitive decline” with fewer side effects (read: cancer risk) than other forms of estrogen replacement.